Responsive web design is a critical element of a website, rather than a feature or add-on. In fact, it should be thought of as standard when it comes to website building. Do you doubt the web today looks like this? How many devices do you use to access the web? How often do you experience a seamless transition from one website to the next when you switch devices? How do you feel when the transition isn't so smooth? Your customers probably answered these questions the same as you. 1. It will save you the trouble of creating multiple sites. In the past, the answer to an accessible website was a mobile version of the main website. However, a mobile site is completely independent of the desktop version with its own set of URLs. It’s designed to be a scaled-down version of your main website. 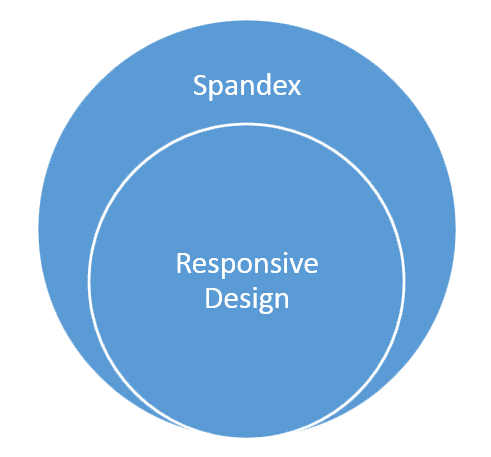 A responsive design adapts your website to the device being used to view it. Thus a responsive design saves you time and money as you won’t have to pay for a separate design or spend hours updating multiple sites. It also saves you the trouble of having multiple URLs for the same page. This alone allows for more accurate reporting of web analytics as visits are not split between two versions of the same webpage. 2 . You’ll reach more customers. The more devices a site is able to display correctly on, the wider range of potential customers can be reached. A responsive design means the portal to your website no longer exists solely on a desktop computer. Since visitors are more likely to leave sites that prove too cumbersome to navigate on the device they’re using, an attractive site that allows for maximum functionality will provide a better user experience and have a positive impact on your bottom line. Visitors will spend more time on your site rather than leave. 3. Chances of delivering the information your visitors are searching for on your site will increase. Responsive design anticipates what information visitors need based on the device being used. Then it determines what information to display or prioritize over others. For example, it is more likely that someone accessing a restaurant’s website on a smartphone is looking for the address, hours of operation, or menu rather than the company history. A responsive site will detect a mobile device and display location information and online menus more prominently. By considering what type of content should take priority over others, you can improve user experiences and enhance customer satisfaction by quickly delivering the most valuable information. Responsive web design encompasses more than making sure your website looks great on an iPhone. It's about making sure the information you deliver to your audience is accessible to them in the ways they engage with you. The easiest way to do this is to outline a basic set of standards for your website no matter what device visitors use to access it. These are the basics. Now let’s take a look at some specific things you can do to be certain your design is compatible across devices. Media queries: Think of these as smart, magic beans that keep you from making multiple versions of the same website. They make it possible for a website to use different styles from stylesheets based on the window dimensions of a device. Fluid Grids: These are the opposite of fixed grids, which were based on the old standard 960px system. Fluid grids are flexible and adapt to screen sizes both big and small. This means content in fluid grids adjusts to the screen. Columns are removed as the screen gets smaller and added as the screen gets bigger. This eliminates the need for horizontal scrollbars. Flexible images: “max-width: 100%” These are the magic words that keep images from displaying outside of their containing element. Since your website will adjust by device, appropriately tagged images will adjust as well to keep things neat and proportionate. Accessible Rich Media: Convert the Flash elements on your website to something more device friendly such as HTML5 or a similar programming language. Small and large businesses alike can not underestimate the importance of making sure that websites display correctly across devices. You've built an impressive website, now you need to make sure it maintains its appeal and functionality on any platform.